The current Archbishop of Canterbury Justin Welby is not and never has been a Freemason. It is sheer ignorance to try to tarnish his name with this event: what goes on in Canterbury Cathedral is the purview of the Dean, and absolutely nothing to do with the Archbishop. The previous Archbishop, Rowan Williams, was not only not a Freemason, he positively reviled their oaths and rituals, believing them to be utterly antithetical to the Christian faith. That was until he came to appoint senior Freemason the Rev’d Jonathan Baker as Bishop of Ebbsfleet, and then he turned a different whisker. As Roger Odd observed, Archbishop Geoffrey Fisher was most definitely a Freemason, and his penchant for the Brotherhood almost threatened disestablishment. Quite a few bishops and other clergy may be Freemasons – we don’t know: it’s secret. (122) This Report has identified a number of important issues on which, in the view of the Working Group, the General Synod will have to reflect as it considers ‘the compatibility or otherwise of Freemasonry with Christianity’. The reflections of the Working Group itself reveal understandable differences of opinion between those who are Freemasons and those who are not. Whilst the former fully agree that the Report shows that there are clear difficulties to be faced by Christians who are Freemasons, the latter are of the mind that the Report points to a number of very fundamental reasons to question the compatibility of Freemasonry and Christianity. Funny how the BBC didn’t present this difference of opinion as a ‘schism’ or ‘split’ or as a ‘church in crisis’. Perhaps they just don’t care about the mental health of Freemasons. The Church just didn’t discuss it very much. The Dean of Canterbury will be familiar with this report, and is manifestly content that showing hospitality to Freemasons is neither blasphemous nor heretical. Whether or not he is himself a mason, he will ensure that the liturgy at England’s preeminent Cathedral is unequivocally Anglican: it’s not as if Jahbulon will be invoked or members of the congregation will be asked to sing ‘Praise, my soul, the King of heaven’ while standing on one leg with with a noose around their necks. Of course, what each mason has in his heart or mind during the service is a matter for him, but it’s not going to be a worship service of Satanic-Anglican syncretism, as some are imagining. But is it simony? Well, only if the Freemasons gifted their £300,000 with the proviso that they got to celebrate their tercentenary within the hallowed Cathedral cloisters, beneath the stained-glass shadows of the Ancestors of Christ. And there’s absolutely no suggestion that they did. At a basic level, Freemasonry is a charitable and benevolent association. It is tolerant and respectful of all religions and admits all men of good character who have a commitment to self improvement and to serve their communities. Atheists, however, are excluded: there is a requirement to believe in God as the ‘supreme being’, but no doctrine of God is advanced beyond that. 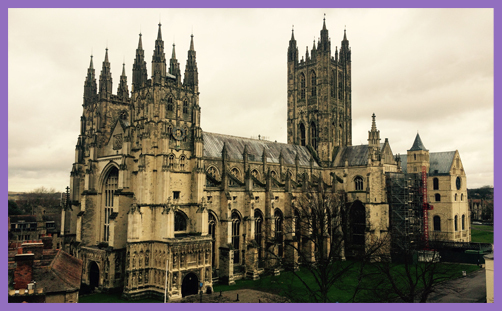 Would Canterbury Cathedral welcome Jews, Muslims, Hindus, Sikhs, Buddhists or Jedi Knights? Yes, of course they would, for the Cathedral belongs to all the people of England, and all are welcome to worship God beneath its medieval vaulted ceiling. If any group had bothered to raise £300,000 for crucial works of restoration, they might similarly ask the Dean if the Cathedral would host an event for them, and he would doubtless consider it very carefully. Would such an accommodation constitute any kind of endorsement of these belief systems? No, of course not: not unless the act of divine worship were made using alien scriptures which took the name of the Lord in vain or denied the divinity of Christ. These things the Dean would decline. There is no compulsion or expectation that Canterbury Cathedral will endorse the canons of conduct promoted by Freemasonry, but there is certainly no harm in exhorting fraternal love or blessing peacemakers. This is not syncretism. Insofar as the masons’ objectives in gifting £300,000 to Canterbury Cathedral were philanthropic and civic, there is no simony. Freemasons support the Cathedral out of reverence for sacred history, respect for mutuality, as a service to the community and a gift to the nation. For the Dean to foster fellowship and fraternity with them is a basic courtesy and a sacred service.